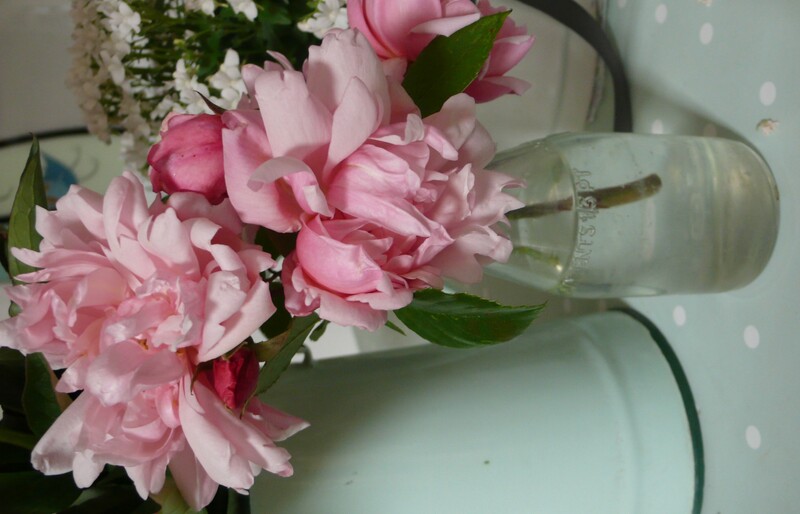 Some friends came to lunch yesterday and brought with them the most beautiful bunch of pale and dark pink Peonies, which have made me very happy indeed, so I thought I’d write about them. I promise it’s not going to turn in to that kind of blog (a smug, look at me blog), but just let me have this one post. 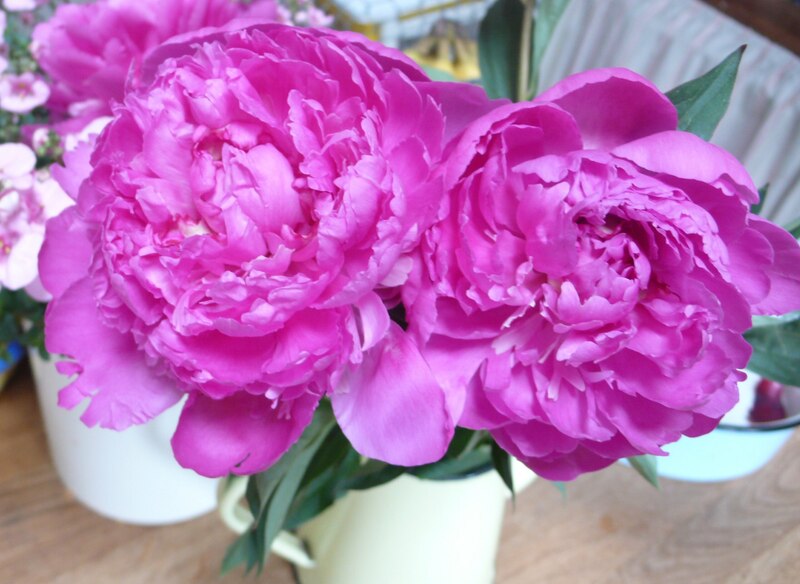 Peonies played a starring role in my wedding bouquet and as much as I adore most flowers, there is something very special about them and for that I love them more than any other. I’m not quite sure what it is but they’re romantic and nostalgic and perfectly modern all in one stem.They cheer me up no matter what my mood and they make my house feel…..happy. Yes, I really did just write that. 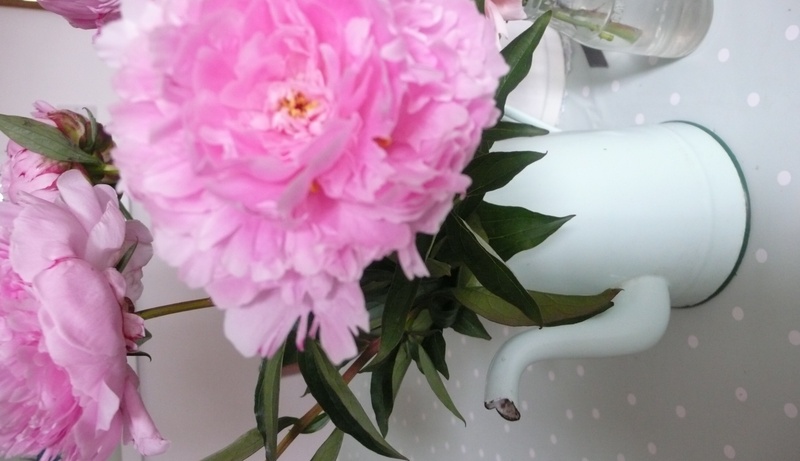 So if you don’t have peonies in your sight, I strongly recommend that you go and find some. Florists and supermarkets are full of them at the moment and I guarantee they’ll make you smile. And while I’m at it, these roses which I found poking through a neighbouring wall on our drive way are definitely worth a mention. I’m not responsible for growing them but I wish I was. They smell like roses should, sweet and delicious. Happy, smug post about flowers is now over.